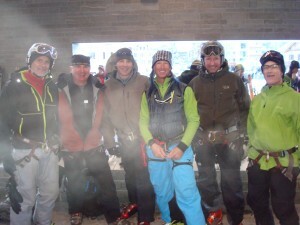 Joe Malone brought a crew out to Chamonix this year from Portland, Maine. All of them ski hard at Saddleback and Sugarloaf and have a penchant for the backcountry. Chamonix was the perfect Alps launching ground for their 10 day trip. Day 1: Off piste at La Balme/Le Tour. 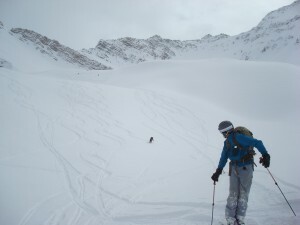 We found good powder besides the pistes and great powder on off piste(out of bounds) runs on the way to Vallorcine. Day 2: Grands Montets ski area. Known for great skiing in diverse terrain this is a great place to ski for high glacier runs, big bowls, or silky smooth tree skiing. 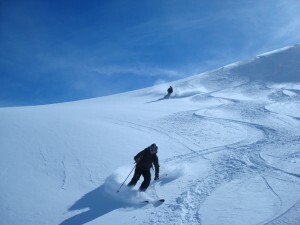 This is actually some nice powder of of La Balme! Day 3: Ski Tour at from La Flegere ski area to Le Buet and back on the train:The col des Crochue/Berard Tour. Day 4: Off to Courmayeur, Italy for some great off piste runs into the Val Veni and one of the best meals near Mont Blanc, from Anna at Chiecca’s. We found some great powder above the Courmayeur ski area. Day 5: Saw us headed to the Valley Blanche, with none other than Glen Plake. 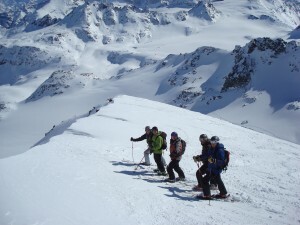 Day 6: Vallorcine steep skiing and descent into Trient, Switzerland. 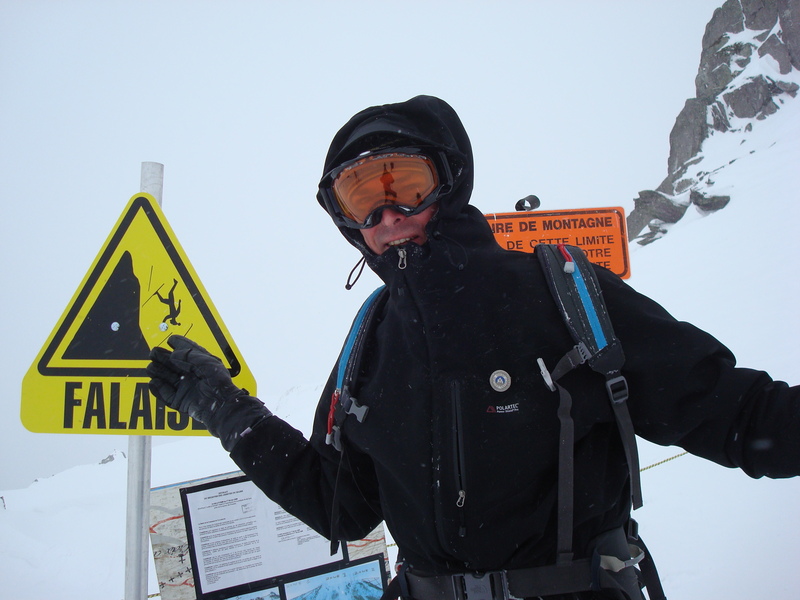 About to go out of bounds and ski down to Vallorcine. Day 7: A well deserved rest day for all! 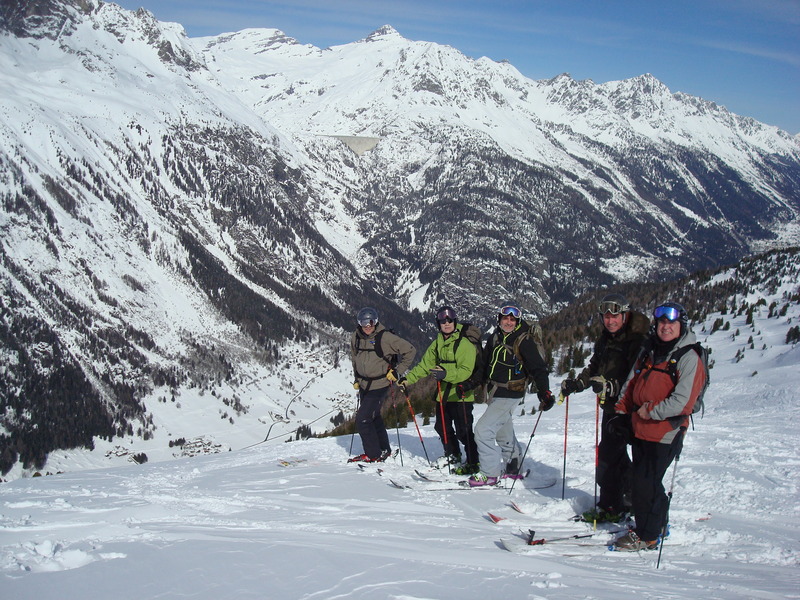 Day 8: Verbier off piste, Les Ruinettes, La Chaux and off the back of Mont Fort. Behind Mont Fort in Verbier, Switzerland. A vast expanse! 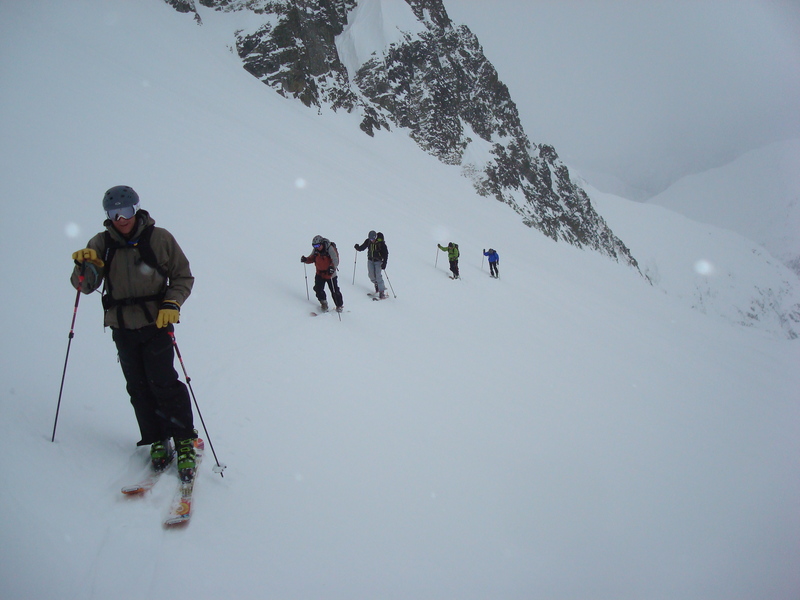 Day 9: Ski tour from La Flegere to Lac Blanc up and over the Col de Belvedere (with a rappell to enter the couloir) to find some nice cool northfacing powder on the way. 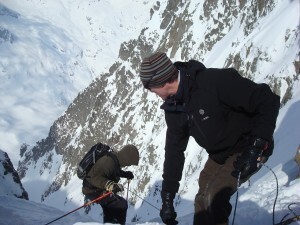 Descending the Col de Belvedere on belay. 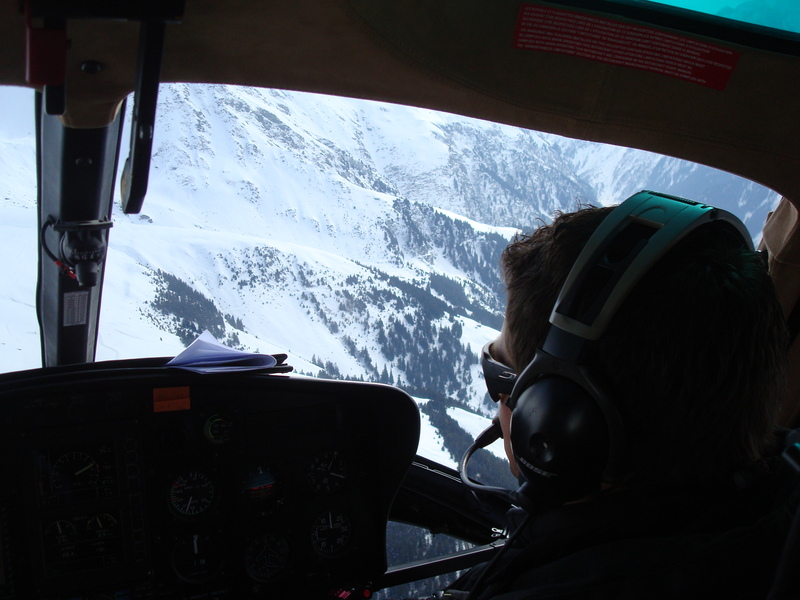 Day 10: Heli skiing on the Rosablanche all the way down to the town of Fionnay where a nice cafe awaited us. 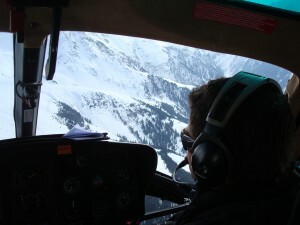 Approaching Rosablanche in Switzerland for some heliskiing.